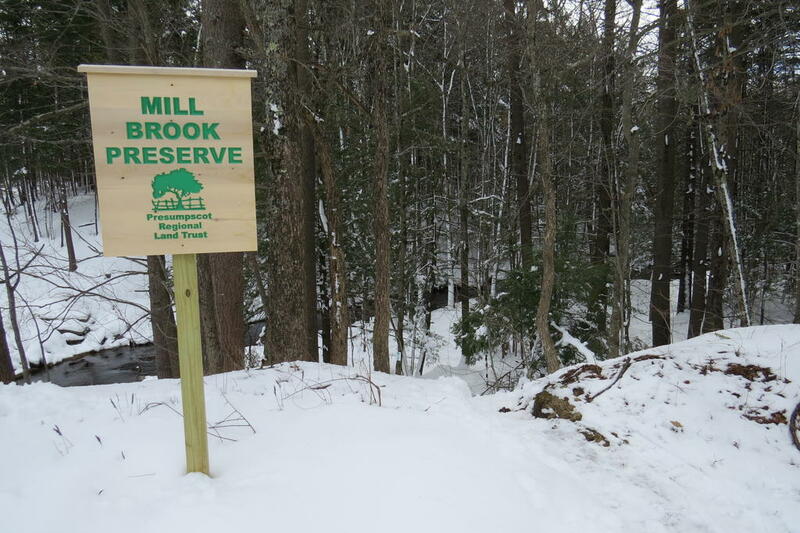 WESTBROOK – The Presumpscot Regional Land Trust is looking to improve access to Mill Brook Preserve and is looking for city funding to do so. Last week, representatives from the Presumpscot Regional Land Trust appeared before the city council to ask for $23,500 in open-space funding to do trail improvement work. The funding would come from money set aside when the Winslow Green and Berkshire Way Extension subdivisions were created. 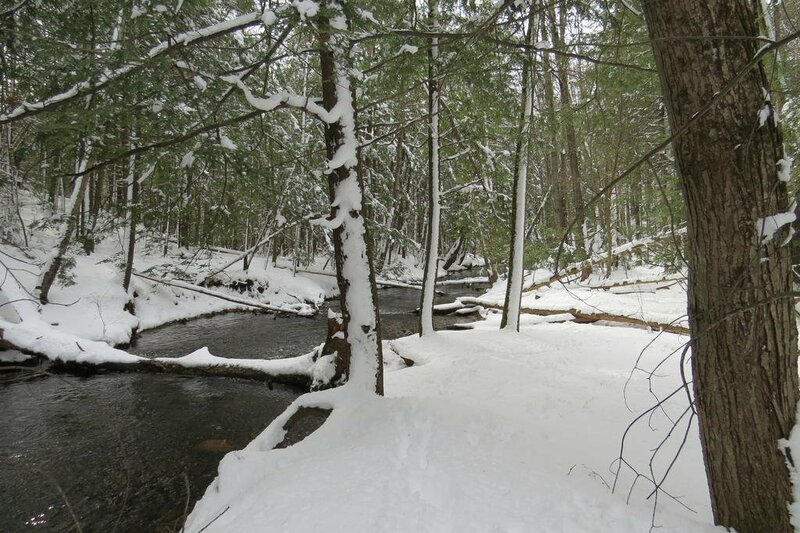 On Feb. 15, the Recreation and Conservation Commission voted to support the Presumpscot Regional Land Trust’s request and pass the matter on to the city council. The request gained unanimous support from the council at first reading March 5, but would need final approval from the council before it could move forward. After the land trust first presented the idea to the Recreation and Conservation Commission in January, Melissa Hamlin, chairwoman, said it was the perfect project for her group to support. 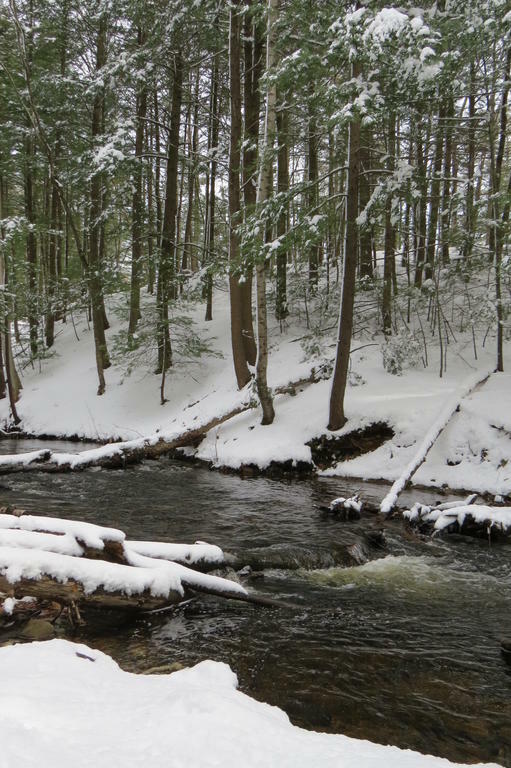 Mill Brook Preserve is a 5-mile trail system covering 130 acres that follows the brook as it meanders its way from behind Perry Court to where Methodist Road and Route 302 converge. Hamlin, who also serves as a volunteer on the land trust board of directors, said the preserve has been garnering “regional attention” in recent years. She said it is a popular place the see alewives migrate from Casco Bay to Highland Lake in the spring. Last year 40,000 alewives migrated through the area. The trail can be accessed from four points: the northern trailhead at the corner of Methodist Road and Route 302 (with parking for eight cars); MAGAN trailhead by Willow Drive (on-street parking); Allen Knight Road trailhead (four cars) and the southern trailhead by 55 Perry Court (on-street parking). “We are really excited to take this project to the next step and make the trails accessible to most people, to school groups, to after-school groups, to the elderly, across the board to folks who can’t get in there now to see an area of Westbrook that is unlike any other area of Westbrook,” said Rachelle Curran Apse, executive director of the Presumpscot Regional Land Trust, which operates out of a second-floor office at city hall. The land trust works on land conservation and public access issues in the communities of Gorham, Gray, Standish, Westbrook and Windham and offers 14 land preserves covering 1,600 acres. The group also oversees the Sebago to the Sea Trail, a 28-mile trail connecting Sebago Lake and Casco Bay. Work proposed on the trail will include widening and flattening the trail in spots, construction of new bridges and boardwalks throughout, and a new 1-mile trail in the southern portion of the preserve. Work would also include installation of new educational signage about the land and wildlife in the area and polywood benches. If it gets final council approval, the goal is to have the work completed by fall 2018. Councilor Lynda Adams, who lives near the Mill Brook Preserve, is thrilled about the proposed trail improvements at the preserve. “I thank you for doing this because this is a pretty special place we have in Westbrook,” Adams said. “It is nice to give that access to people, especially people who don’t have that now. Aside from alewives migration and scenic beauty, Adams said the preserve also includes a graveyard dating back to the 1700s. “I am really, really pleased about the collaborative partnership that has evolved very quickly between Presumpscot Regional Land Trust and Westbrook Recreation and Conservation Commission. They have incredible compatible goals and missions,” City Administrator Jerre Bryant said. Bryant said the project is a good use of the funds that are provided, and approved by the council, for the creation and expansion of open space and recreational facilities. “I couldn’t have been more thrilled for the project,” he said. Council Vice President John O’Hara said the preserve wouldn’t have been possible without the support, and generosity of individual landowners. “Without the individual landowners granting us this wonderful easement over the property, nothing would have occurred,” he said. According to the Presumpscot Regional Land Trust, the trail was made possible through land donations from the city, Ralph and Marilyn Hatt and most recently Steve and Sue Cullinan. Land acquisition was made possible through Casco Bay Estuary Partnership, Westbrook Environmental Improvement Corporation and the Westbrook Recreational and Conservation Commission. Curran Apse said more landowners have reached out to express interest in offering an easement on their properties as well. Michael Kelley can be reached at 781-3661 x 125 or mkelley@theforecaster.net.